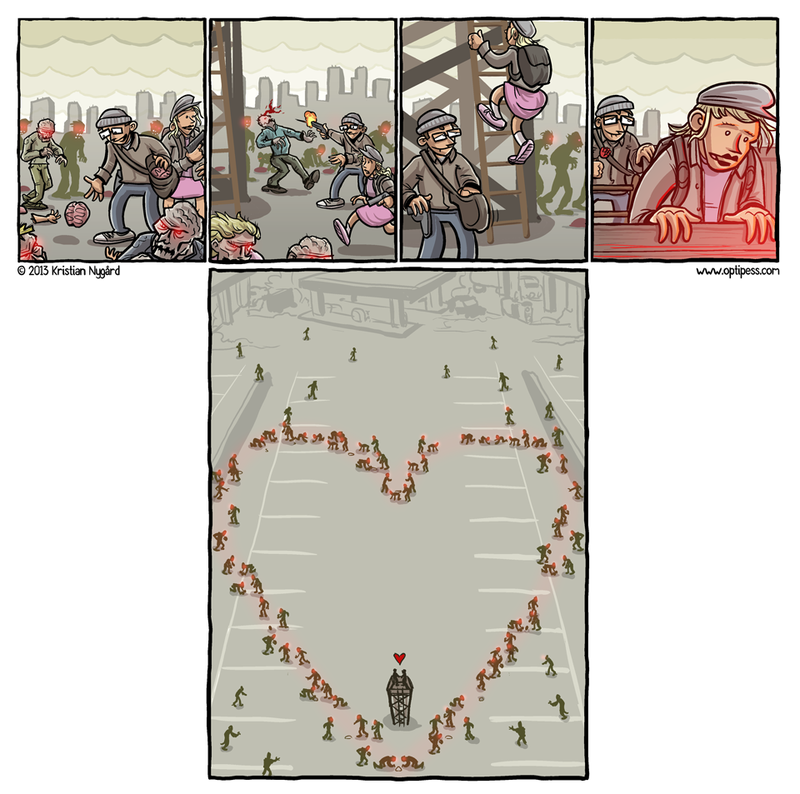 Here’s an adorable comic in time for Valentine’s Day on Thursday. With some luck the zombie apocalypse will occur before then as well! They were right! Romance isn’t dead! Hehe, very funny, indeed. Seems like the kinda thing I’d do if there was a zombie apocalypse. Where’s the body of the one that he shot by the tower? Did he also move it to keep the perfect picture? Um, yes. Indeed he did. Just wondering, where did he get the brains from? I guess zombies dont eat zombie brains, so he would have had to kill other non zombie people to pull this of..? Officially, it’s zombie brains. Unofficially, it’s previous dates.